A permanent public artwork located in a 3 story internal void at 151 Castlereagh St, Sydney, NSW, Australia. 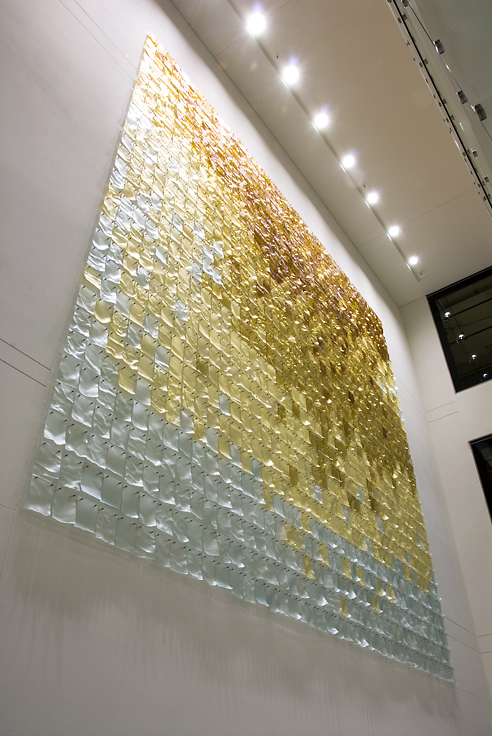 The first artwork in this series, Breathe consisted of 1260 individual kiln-formed glass pieces and spanning 3 storeys of an internal void, each piece is slumped to take on the shape of crumpled paper and to come away from the wall emulating paper blowing in the wind. The artwork was intended to appear to move as the viewer moves past the work. The fragility of glass combined with the impermanence of paper is intended to encourage the viewer to consider the transitory nature of human existence.